Put the said variable into the title section, h3 tag and as an anchor text within an HTML document. 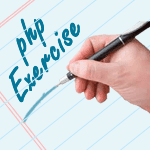 PHP, an acronym for Hypertext Preprocessor, is a widely-used open source general-purpose scripting language. It is a cross-platform, HTML embedded server-side scripting language and is especially suited for web development. The anchor text, link label, link text, or link title is the visible, clickable text in a hyperlink. The blue, underlined anchor text is the most common as it is the web standard, but it is possible to change the color and underlining through html code. Different browsers display anchor texts differently. Go to the PHP Tutorial. 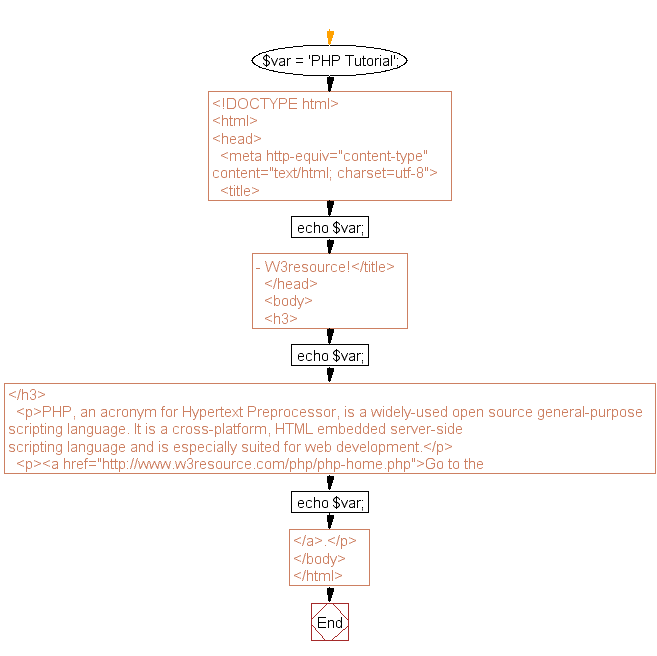 Previous: Write a PHP script to display the following strings. Next: Create a simple HTML form and accept the user name and display the name through PHP echo statement.